After five years selecting and crossing autoflowerings, Dinafems team has gained a lot of experience, which has helped them learning how to mix their top autoflowering lines and to select only the best crosses. They crossed their best Cheese Autoflowering plants with a new line of Auto Blueberry, and the result is superb: the super-intense flavor of Cheese combines perfectly with the soft fruity hints of Blueberry. The nightmare of old autos with dry grass flavor is over. 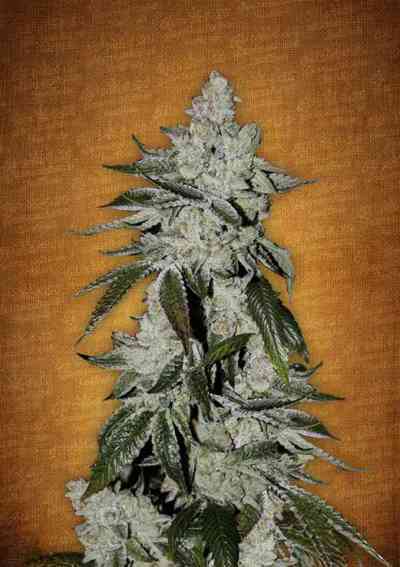 Blue Cheese auto is a pretty lady with penetrating aromas and exotic colors. It smells like berries mixed with hints of Cheese. The flavor is strong, sweet with an aftertaste of Cheese. Besides its great taste, it´s very sticky and produces abundant resin. 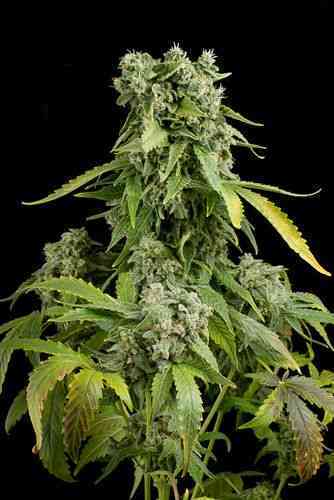 Blue Cheese auto is perfect to make hash with intense flavor of Blueberries and Cheese. It can easily reach 1.2 meters height, in appropriate growing conditions, and with only 10 weeks of flowering is ready to be cut. A real treat for the senses, you can enjoy it on your balcony, terrace, winter garden, guerrilla, or indoor growing. Sehr leicht zu wachsen und machte das Leben sehr entspannend. Wird definitiv wieder wachsen!